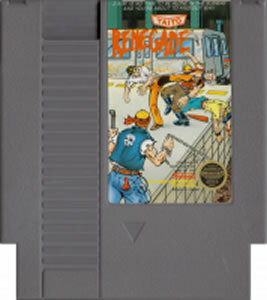 Renegade original NES Nintendo Game cartridge only - Cleaned Tested and Guaranteed to Work! I remember playing renegade as a child and playing it as an adult brings back many fun memories. It is still fun to play. The game works great and is in good condition too. This is a fun game to have in your nes collection. It is a little akward at times trying to use the conolls, but once you get used to it it is okay. For the price and fun factor it's a must for any collection. One of the most fun side scrolling beatdown games ever. Still can`t touch River City Ransom but its a good one. 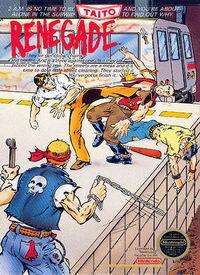 Renegade is not very well known, but is pretty entertaining! 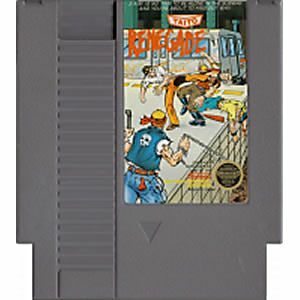 Lack of two-player is an unfortunate drawback and the controls can be different than what you expect, but it's a fun beat 'em up for the NES!